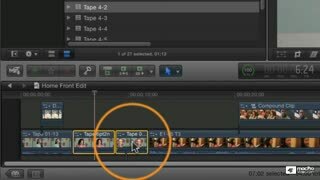 After watching Michael Wohl’s Final Cut Pro X 103: Editing In The Magnetic Timeline tutorial, you probably think you’re ready to cut video—well, not...quite...yet! The truth is: you have just begun to scratch the FCP X surface! 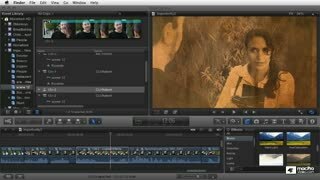 In this Advanced Editing Techniques tutorial, the acclaimed Michael Wohl directs his editorial laser beam on the got-to-know essentials of editing in FCP X and it all begins with the art of trimming edits. Just as a sculptor carefully chips away at a block of marble to create a masterpiece, editors, too, cut and trim their edits to help reveal the story locked inside. 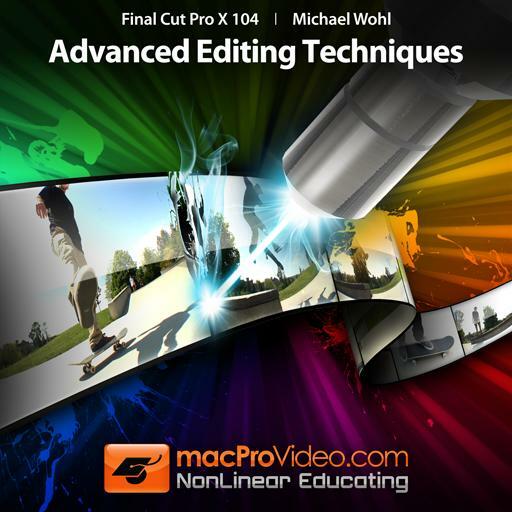 The concepts you will learn in this Michael Wohl masterpiece will help you transform your first cut into a highly polished Final Cut. 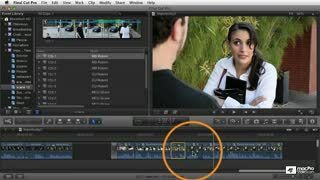 As this tutorial unfolds, Michael explains many different kinds of edits and how to use FCP X’s arsenal of tools to achieve incredible results. He covers Ripple, Roll, and Split and Slide techniques. 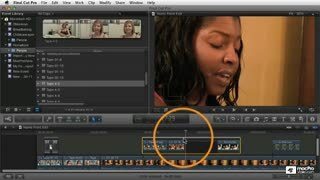 The Precision Editor and Trim Tool are also explained in detail. 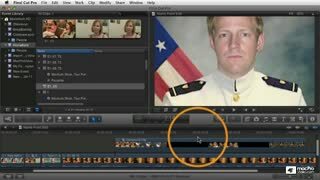 He shows how you can trim from the keyboard, and how to use numerical trimming and advanced keyboard shortcuts to help streamline your workflow. 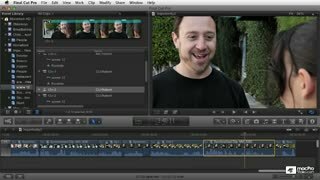 Next we delve into “Auditions” which is one the coolest new features in Final Cut Pro X. Imagine that you have several different versions of a shot inside a given scene. The Auditions feature allows you to combine these various shots in a single “audition clip” that you can dynamically switch between shots, on the fly, as your scene is playing! 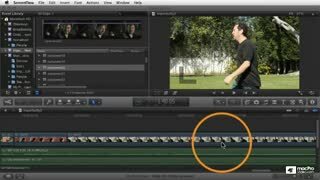 From there, Michael dives into secondary storylines and the powerful FCP X feature of editing of complex compound clips. 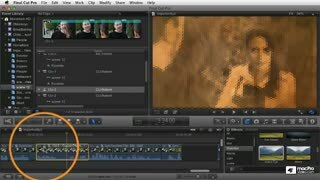 This Advanced Editing Techniques tutorial is a must-view collection of videos that focuses like a laser on Final Cut Pro X’s awesome new editing toolkit! 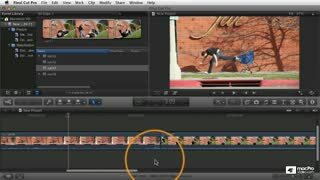 So sit in with master Michael Wohl, macProVideo.com’s Start trainer and get the knowledge you need to sharpen your Final Cut Pro X editing skills! Very nice tutorial, all of michaels tutorials have been top notch. Awesome information. I did have to watch through some of these again. Lots of great pointers. 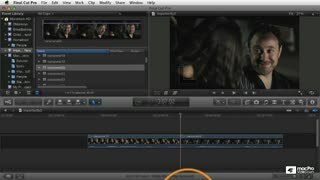 The tutorials for Final Cut X are simple and easy to follow. I recommend watching each tutorial and then use random clips to practice what you watched. 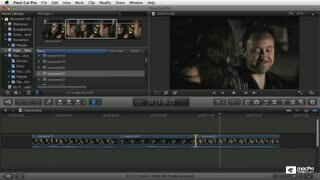 In no time at all you will be editing like you have always used FCP X. Thanks for the great tutorials. Great Course! breaks everything down and makes it really easy to understand all of the elements. Thank! Michael does it again. 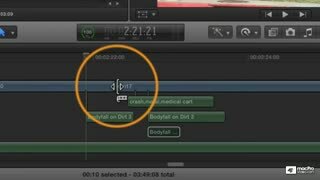 Even as someone who has been working with video for ten years, I am learning great tips and shortcuts to help me in my workflow as I delve into the newest version of Final Cut Pro. As I work on projects, it is easy to go back and find what I need in these videos as they are clearly laid out, labeled, and succinct. Great stuff. 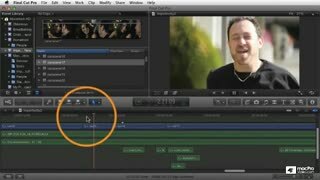 Michael presents the new editing tools in an easy way. I enjoyed the update on the short cuts and the Precision Editor parts. This tutorial has something for everybody. 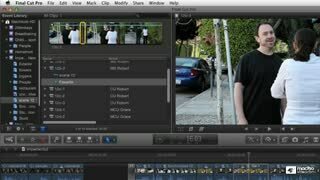 Highly recommended training for anyone seriously interested in becoming proficient in Final Cut Pro. Excellent presentation makes it easy to learn.